Dr Don Jordan and MS Ellen Cornish are regular contributors to sclthailand.org/. Their fourth article provides ideas for teachers who improve or add to their skills in student centred learning. Don taught in primary schools in Tasmania. His perspective has been enriched by his work with disaffected students in the United Kingdom and with Bachelor of Education students in the Gaza Strip and working with curriculum developers and teachers on behalf of UNICEF in the Maldives. 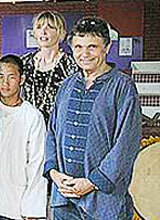 In March 2011, Don was invited by the Mechai Viravaidya Foundation, to evaluate the leadership, curriculum, resources and teacher training and experience, at the Mechai Pattana Secondary School in north eastern Thailand, in preparation for it to become a demonstration school for the proposed Teacher Training Institute. 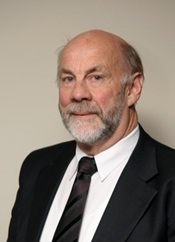 Don has a strong interest in the philosophical and theoretical place of computers in primary classrooms in Tasmania, and their effect on students’ learning, behaviour and social development. 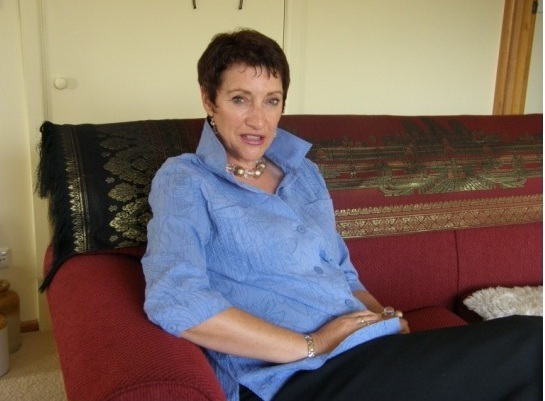 Ellen Cornish has had 33 years’ experience teaching in Tasmanian schools. She has taught in both primary and district high schools during that time. She has spent time in senior management roles within the school setting. Ellen has also held the positions of treasurer and president of the Early Childhood Educators of Tasmania Association. She has led many professional learning sessions for her colleagues and is skilled in the mentoring and training of pre-qualification teacher trainees, newly qualified teachers and teachers who experience difficulties and those re-entering the profession. Teaching in Korea helped to enrich her experience as an educator. In March 2011the Mechai Viravaidya Foundation invited her to evaluate the leadership, curriculum, resources and teacher training and experience, at the Mechai Pattana Secondary School in north eastern Thailand. She was also asked to make recommendations for improvements to help bring the school up to the standard required to support the development of a teacher training institute. She is skilled in providing a creative and challenging program where her students are encouraged to develop their own strengths as well as to take on board responsibility for their own learning and behaviour. She strongly believes that all children can reach their full potential by being given the appropriate guidance within an environment that is non-threatening and one which fosters self-belief. She has expertise in the education of children with disabilities as well as those with challenging behaviour and their ability to function within the mainstream school. One of her passions is to foster creativity in children. In order to facilitate this successfully she has regularly updated her skills by enrolling in professional learning courses. An example of this was a drawing course with the Art School, University of Tasmania. Concepts maps (graphic organizers) are powerful classroom strategies that can be used in all phases of learning from brainstorming ideas to presenting findings. Mind mapping is one of the many powerful graphic organising strategies that can assist teachers with their planning towards a Child Centred Learning classroom, as well as assisting their students to develop creative and critical thinking skills. Brain storming is central to mind mapping, giving students the opportunity to put forward their ideas. The basis of brainstorming is generating new ideas in a group situation, based on the principle of suspending judgment, where students are encouraged and supported to confidently offer their thoughts and suggestions. Critical thinking skills are essential in helping to evaluate how successful these new ideas are. The creative and critical thinking potential of a mind map is central to effective brainstorming sessions. Starting with the basic idea as the centre, associations and ideas are generated from it in order to arrive at a large number of different possible approaches. By presenting thoughts and perceptions in a spatial manner and by using colour and pictures, a better overview is gained and new connections can be easily seen. Writing is an extension of thinking; the brain thinks centrally then branches out, so the way thoughts are organised on paper is significant. To fold a piece of paper in concertina fashion to create a crease for writing is very limiting as information is only presented in a linear way. The human brain does not work only in a linear way, but works associatively as well as linearly – comparing, integrating and synthesizing as it goes. Association plays a dominant role in nearly every mental function, and words themselves are no exception. Every single word and idea has numerous links attaching it to other ideas and concepts. 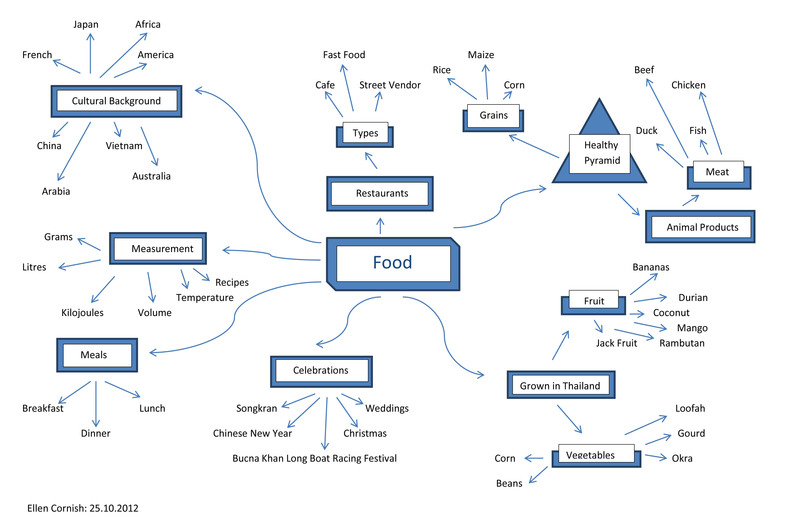 Mind mapping can allow students to develop other strategies, instead of a strict predetermined linear pathway. These strategies help students of all ages to better manage learning objectives and achieve academic success. Students are required to evaluate and interpret information from a variety of sources, incorporate new knowledge with what they have learned already, and improve writing and critical thinking skills. Paired with the brain’s capacity for images, visual learning strategies help students better understand and retain information. 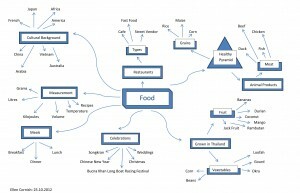 Mind maps can be used individually or in large groups. For example, in our classrooms, we found it productive to create a class concept map as a large group both at the beginning of a unit of work and then again at the end, as part of our assessment process. It also proved a useful way to develop a character map while reading a book aloud to the class. These concept maps are particularly useful in activities that require critical thinking skills. Helps students brainstorm and explore any idea, concept, or problem. Facilitates better understanding of relationships and connections between ideas and concepts. Makes it easier to communicate new ideas and thought processes. Allows students to easily recall information. Helps students take notes and plan tasks for more detailed investigation. Makes it easier to organize ideas and concepts. It is not enough just to develop a mind map, which is an integral part, but it is only the beginning of the journey, a plan. A mind map does not demonstrate the depth of understanding that students need to develop in order to help them make connections within the topic. Mind maps are used as a beginning strategy to help students navigate their way through their journey on the way to developing a deeper understanding of the topic.